On Friday the 19th May, Year 11 Work Studies class completed the informal but very practical part of an assessment task, which was to run a group business. 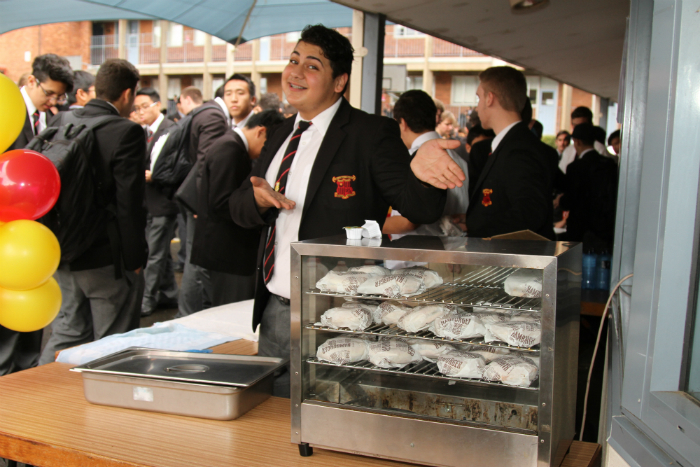 Being an all-boys school, most groups felt it appropriate to sell food and hot food at that. The weather was kind to us as it was cool and on the back of a healthy marketing campaign, the boys successfully sold the entire product on offer that day. 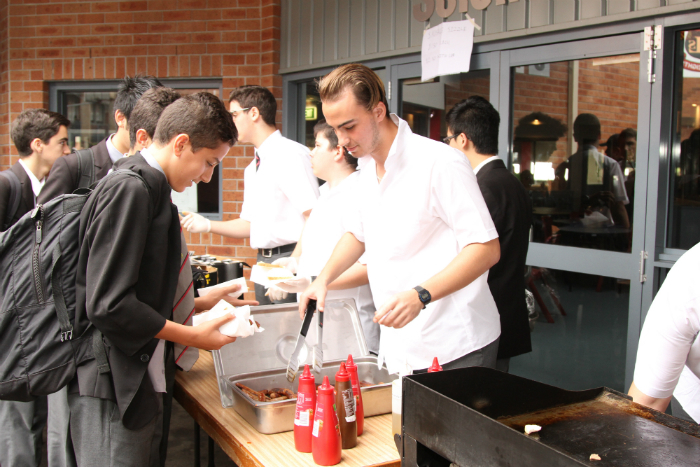 With 120 of the tastiest chicken kebabs were barbecued superbly and went within minutes, 160+ sausages were barbecued and sold on bread, 100 "Healthy" burgers were sold, and in excess of 80 Zaatar were sold along with 70 packets of lollies and 20 litres of chocolate milk.Cans made up the last of what was on offer. Collectively, the boys decided that the profit from the businesses after all expenses were deducted would be given to the local branch of the St Vincent de Paul Society. A cheque for $688.75 was presented at the next assembly to assist with the SVDP winter appeal.